Modern steel and iron bell frames are fixed to the fabric of the tower by cutting pockets in the stonework to receive the base grillage (girder ends that are manufactured with anti-drag cleats to be buried in the tower walls) and then fixing the girders using concrete to encase them and to fill the pockets cut into the tower walls. The base grillage then ties all four walls of the tower together and ensures that if there is any movement of the structure, it moves as a unity. Most bell contractors exclude this work from their contract, leaving the parish to arrange this aspect of the work by others. Taylor's offer this aspect of a bell restoration contract as standard. Bespoke staircases made in hardwood or metal can be manufactured and fitted for ease of access to galleries or belfries. 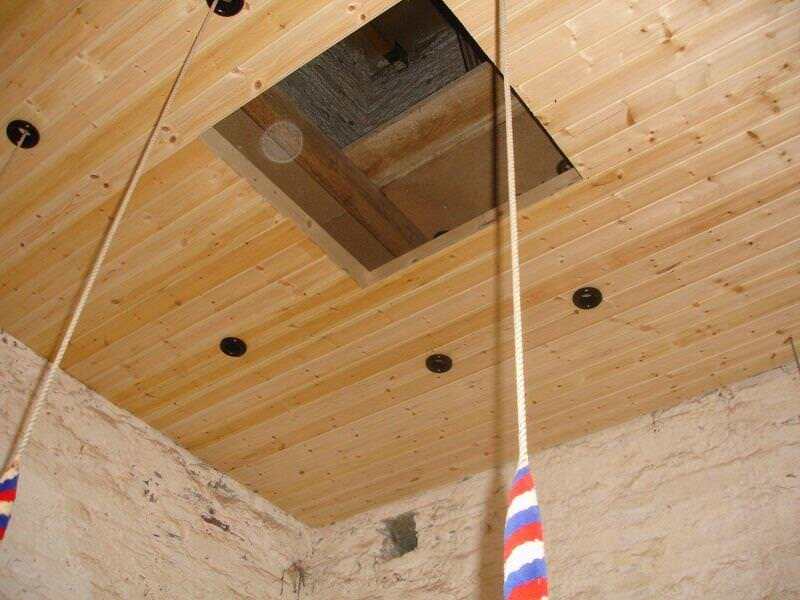 Our craftsmen have great experience installing new belfry floors using traditional materials, and repairing old floors, matching existing structures and woods as is required. We will be pleased to provide a quotation for any such work. Our wood working department at Loughborough is fully equipped for all types of joinery work, and we use various hardwoods as standard on a daily basis. In the past we have happily quoted for and delivered many aspects of tower woodwork, including doors and galleries. Please do ask for a quotation for any such work. 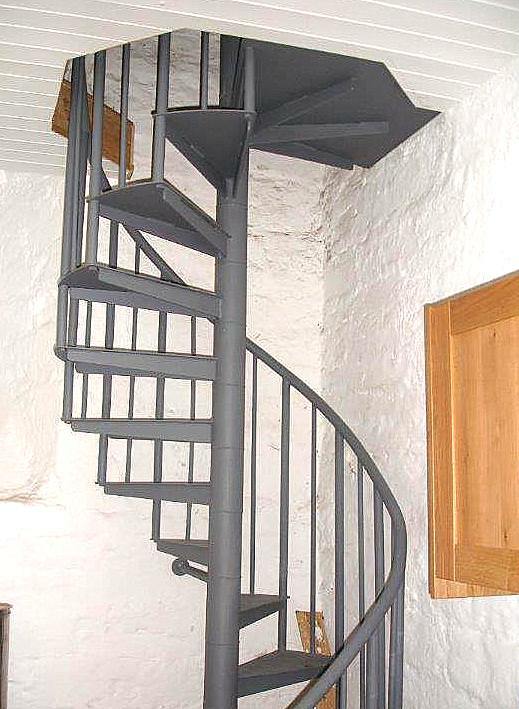 A new gallery access staircase manufactured in our works and fitted on site. 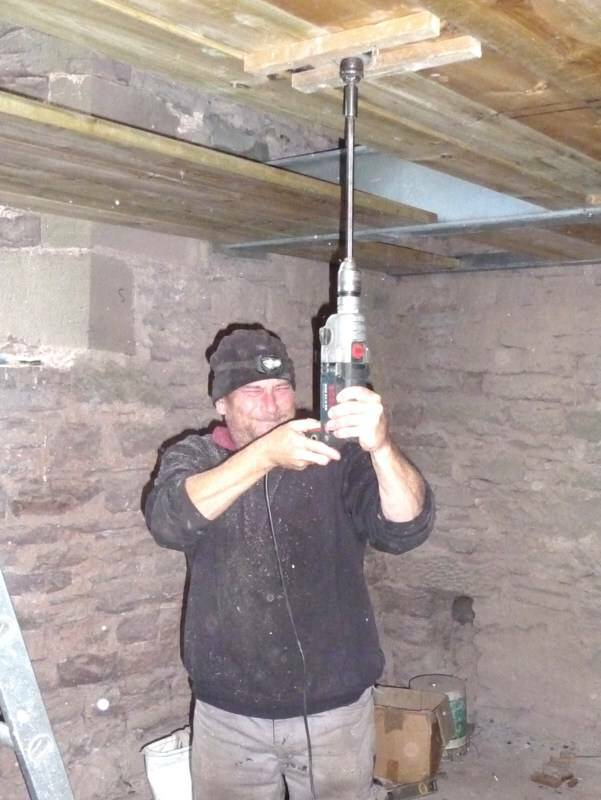 Steve Westerman, Taylor's bellhanger, cuts rope holes in a newly installed belfry floor fixed in the base grillage of a newly installed bell frame. A new ringing chamber ceiling being finished off. 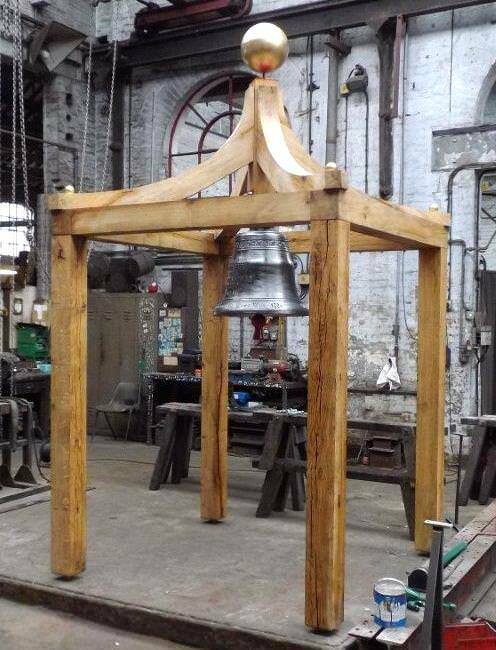 Crafted in green oak, this free standing bell cote has been made by our craftsmen for a country house.